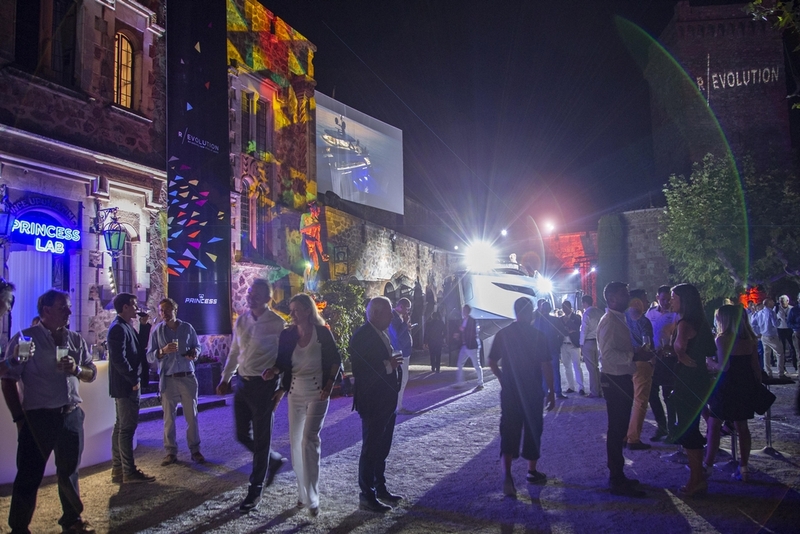 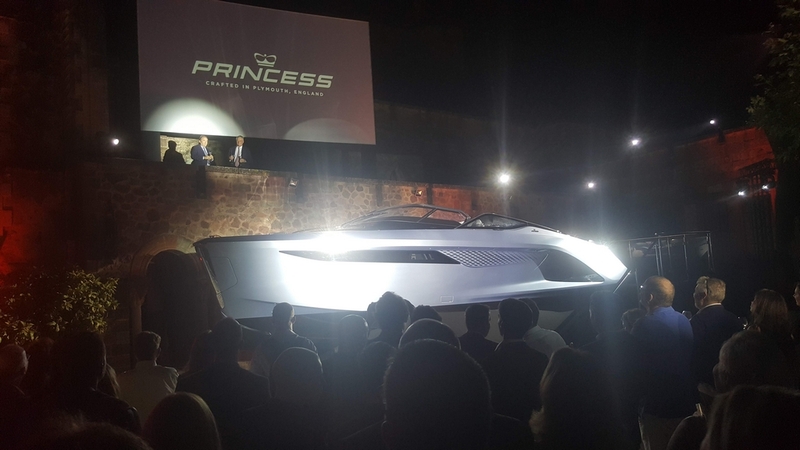 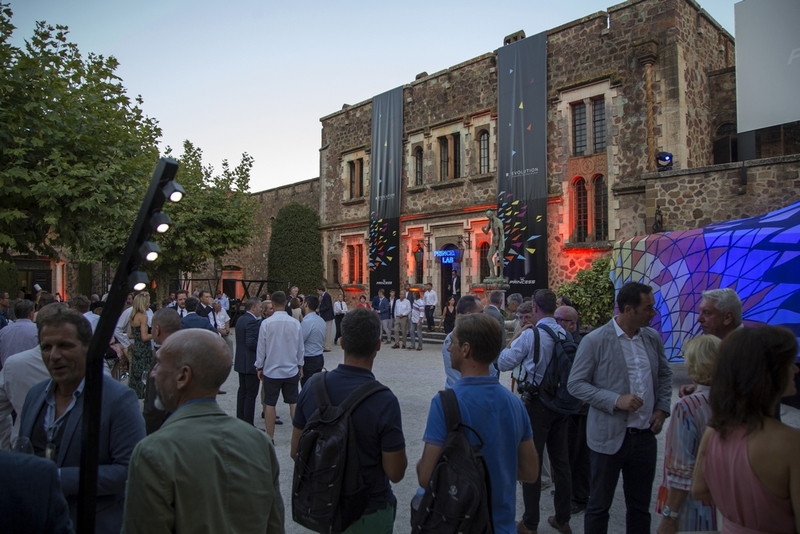 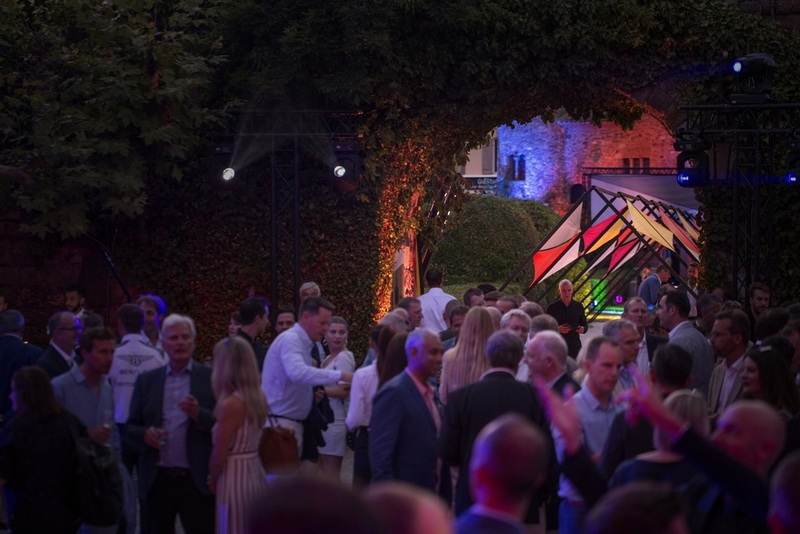 The exclusive invite-only media event took place at the glamourous Château de la Napoule on the Riviera, where Antony Sheriff, executive chairman of Princess Yachts unveiled the Princess R35, which was specially craned in for this wonderful occasion. 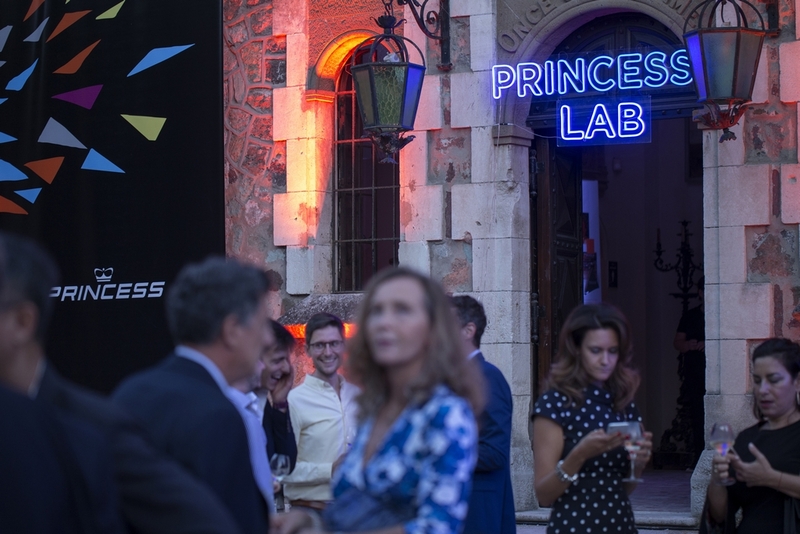 Describing her as “the future of Princess today”, it speaks of the shipyard’s aspiration and capabilities. 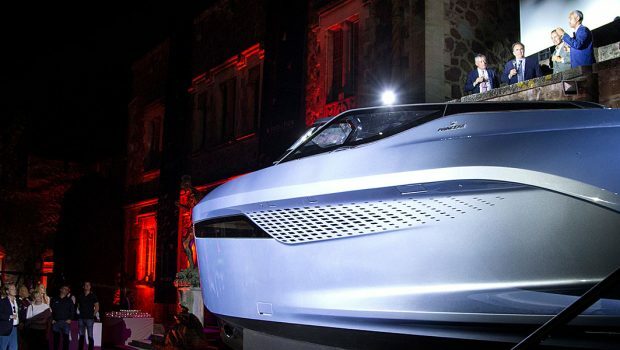 The R35 defines innovation. 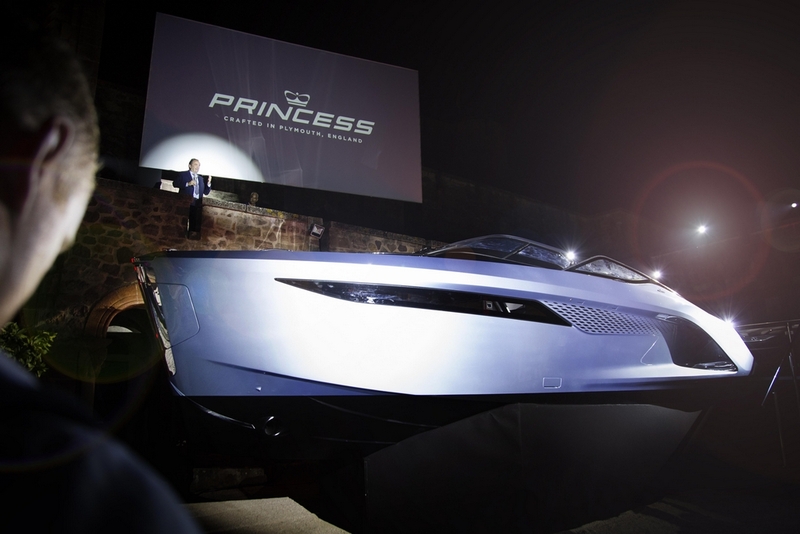 It features the revolutionary use of a world-first active foiling system, aerodynamics inspired by the performance road car and Formula 1 industries, and is the world’s first volume sports yacht fully constructed from carbon fibre. 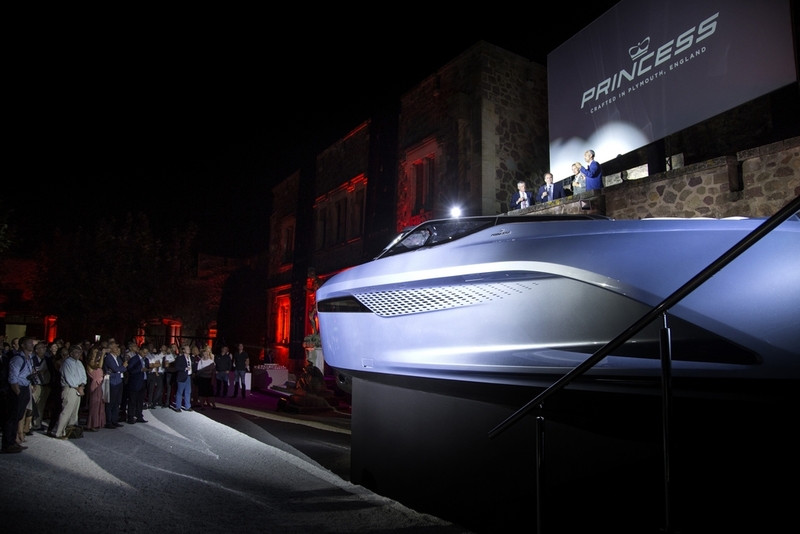 Designed together with iconic styling house Pininfarina, the carbon-fibre monocoque hull enhanced that boat’s aerodynamics with sleek airblades to maximise engine airflow,delivering enormous performance gains across comfort, predictability, usability and efficiency at a wide range of speeds while looking sculpted,elegant, dramati and as breathtaking at speed as it does at a standstill.